With last year’s Panufnik centenary and this year’s imminent publications – an expanded reissue of his autobiography (Toccata Press) and the English-language translation of Beata Bolesławska’s 2001 monograph (Ashgate) – it seems a good time to share a series of articles that I hope will shed new light on Panufnik’s music from his Polish period. While I was preparing a conference paper for a Panufnik conference in Warsaw last September (‘Rustic – Heroic – Elegiac. Panufnik and his Revisions’), I became aware of undiscussed processes of revision lying behind the compositions that were published first by PWM in Kraków and subsequently by Boosey & Hawkes in London. I followed this up by examining autograph scores in Kraków. This little series will include just the orchestral pieces, which will be covered in chronological order over the coming weeks. 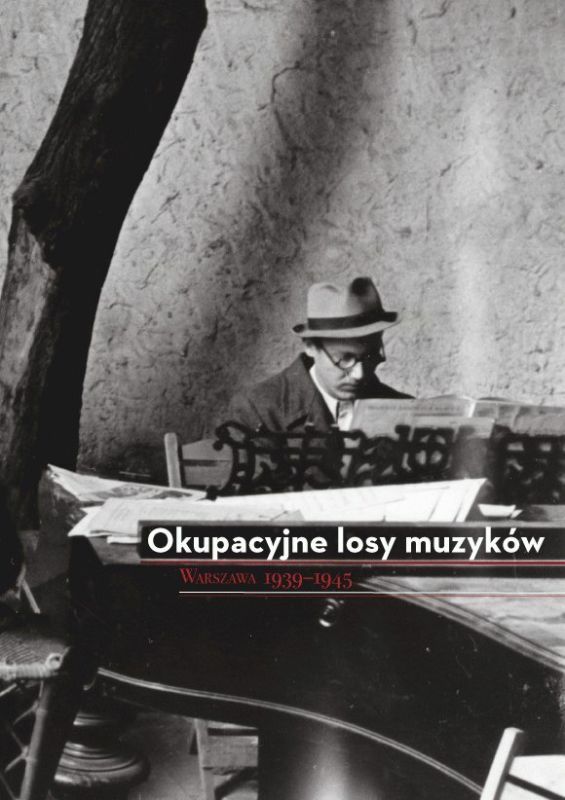 (Last December I also wrote about his first mass songs from 1948: Panufnik: One Song or Three? ☛ article: Panufnik’s 3 Songs for the PZPR.) Future posts and articles will be on Nocturne, Lullaby, Sinfonia rustica, Symphony of Peace/Sinfonia elegiaca and Heroic Overture. The first article is on Tragic Overture, his earliest surviving orchestral composition and one which is particularly interesting for his attention to graphic detail as it was prepared for publication. 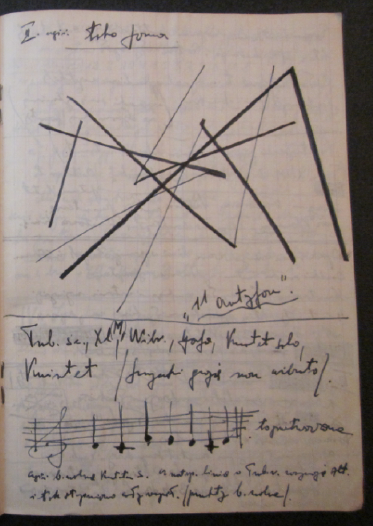 Last week I posted two doodles cropped from working materials of the 1950s by two Polish composers. Here they are on their full pages. The first comes from the first score of Symfonia pokoju (Symphony of Peace, 1950-51) by Andrzej Panufnik. 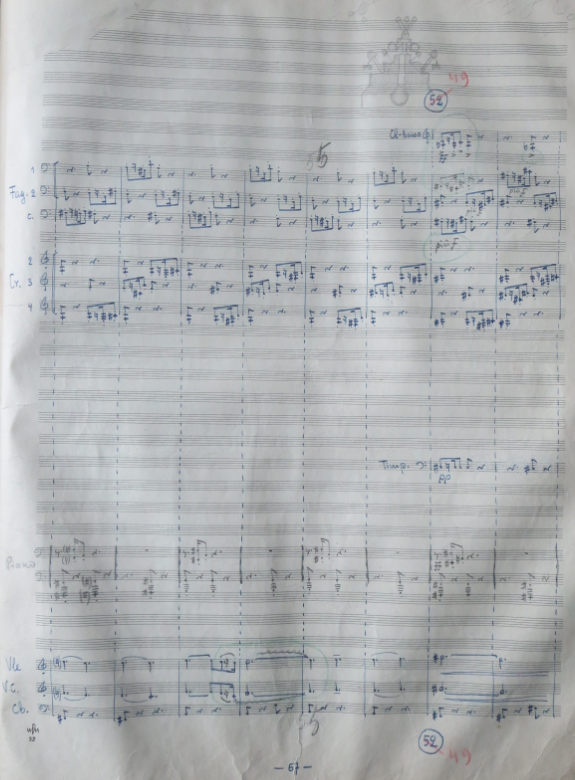 The blue-ink score is not in Panufnik’s hand, but it is overlaid with many markings and revisions in pencil and coloured crayon that are in his hand. It is clear that Panufnik used this score to conduct the rehearsals for and first performance of Symfonia pokoju on 25 May 1951. The revisions may or may not have been made during rehearsals for the premiere. Panufnik would revise it again for publication by the Polish publishing house PWM (1952) and yet again when he renamed it Sinfonia elegiaca (1957). The doodle – the only one on this score – comes during the central movement. It seems decorative rather than compositionally functional. I am no expert, but like so many doodles it has repetitive, symmetrical qualities. These, of course, tie in with Panufnik’s lifelong obsession with mirrored patterns. Here there is an untidy vertical dislocation between the bottom and top parts of the doodle (or is it an attempt at perspective?). More intriguingly, the top part seems to be built around a cross, with lines radiating outwards from its centre. I can find no reason why it appears where it does, but then that is also a common feature of doodles. The second doodle is of a different character and arguably is more like a graphic representation of an aural intention. 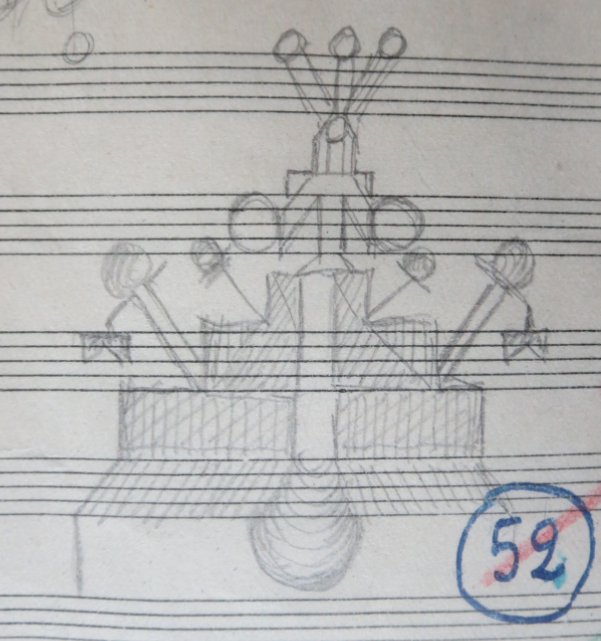 It comes from Henryk Mikołaj Górecki’s first sketchbook and relates to his pre-compositional work on the First Symphony ‘1959’. 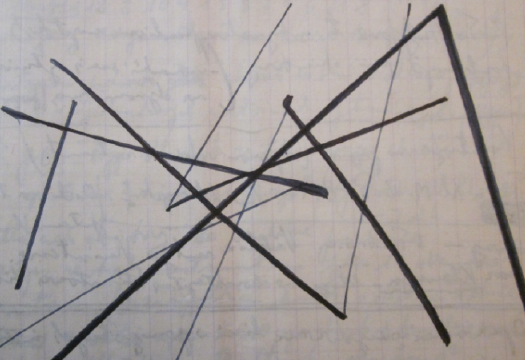 The intersecting angular lines of different strengths are typical of Górecki’s directness and forcefulness. The annotation indicates that it relates to the second movement, ‘Antiphon’. Below the line is a short sequence of seven notes. This is the opening phrase of Poland’s most famous hymn, Bogurodzica, a source of inspiration for a wide range of composers, Górecki and Panufnik included. In this instance, Górecki may have been echoing it in the finished score by using unison notes in ‘Antiphon’ and an oscillation between D natural and C natural in the third movement, ‘Chorale’.